Stories, Welcome to our home! banks of what migrating Europeans named the Cumberland River. It was near a place where, in ancient times, herds of bison congregated to replenish themselves at a salt-lick. It was near a village that was the birthplace of the mother of the Shawnee prophet Tecumseh. Near that same place, on that same river, over two centuries later, just down the asphalt street from the birthplace of the Grand Ole Opry, guitar worshipers gathered en-mass at Riverfront Park, in tribes one might say. At that time in their life, Jack and Grace lived on the edge of a small Tennessee town with two stop-signs and a broken traffic signal. Lightning killed the traffic signal. No one complained or missed it, and it was never repaired. Jack and Grace had a single-wide Jack’s family helped them buy. It was on two acres and surrounded by forest on three sides. There was a spring on the hill out back, and it fed a stream that went for miles winding through dense forest and sparse habitation. Over the ensuing years, Jack and Grace often reflected on their life in Tennessee. As they looked back from old age, it was clear to them that those times and those places were sacred in significance. The greatest joy of Jack and Grace’s time in those guitar years was when school let out, and Joshua came to visit for his summer vacation. He was a boy, longing to be a teenager, and his grandparents took him fishing, canoeing, visiting friends, to county fairs, and Civil War battlefields. Joshua loved their English Tick Hound named Shiloh. Joshua loved riding his Uncle Redhorse’s horse, and teasing his Aunt Fawn. Joshua held in reverence the backgammon board his uncle gave him and the stones of the medicine wheel his Grandpa Jack had taught him to use. During their Tennessee summers, the family food supply was abundant with red ripe Ripley tomatoes, deep green sweetly-red “black-diamond” watermelons, and buttered ears of corn as fine as frog hair. An old farmer friend sold freshly-slaughtered and barbequed chickens. Heavenly meals my friends. Heavenly meals. It was warm, but not muggy. A light breeze. Jack picked up Joshua from the Nashville airport and explained they were going to the river. Josh thought it sounded great. That’s how they came to be walking a Nashville alley towards River Front Park, a buzzing bee-hive, river-bank crowd of string musicians of every faith, little faith, and no faith at all. Josh whispered to Grandpa Jack that they were either hundreds of guitar players or hundreds of gangsters. He pointed out that everybody carried a dark case which could conceal a weapon. A coincidence I am sure, but after college, Joshua entered the police academy. Men and women, young and old and in between, of every color and race, of every degree of musical proficiency, and a few eccentric souls strumming tunes which existed only in their unique musician minds. On that historic afternoon, maybe a thousand guitar pickers gathered to play one song baby! . . “Heartbreak Hotel,” with the man who did the original guitar work for Elvis himself. The jam would last an hour-and-a-half, and make Nashville the world record holder for the greatest number of guitars playing one song for the longest period of time. Jack and Joshua were there with Jack’s two guitars. He had a classically-aged and country-played Martin D-28 that Bob Dylan would envy. Joshua played Jack’s back-up, a respectable knock-off of a Martin. Chet played a Gretsch 6120, but Jack knew Chet would approve of his Martin, just as Stradivarius would approve of Steinway. The hillside was, as Julie Andrews might have sung, “alive with the sound of music.” Highly-regarded musical artists took turns walking out onto the floating stage on that Cumberland River. Each led the guitar-worshipers on the hill rising up before them. 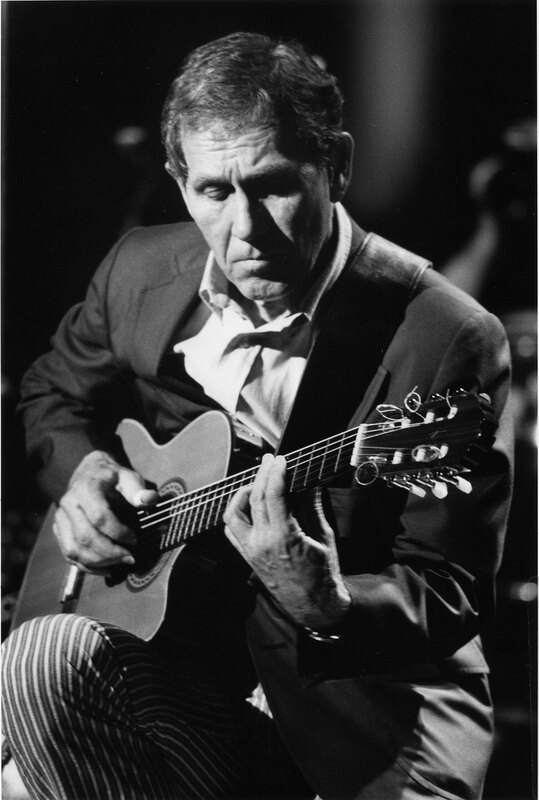 Somewhere late in that sustained joyful sound, the man himself, Chet Atkins, took the stage and played as only a spiritual master and musical devotee’ could play. Jack strummed and watched and listened to Chet and remembered hearing Mr. Atkins on the radio and phonograph records when he was a boy. He was awed by the virtuoso’s talent. 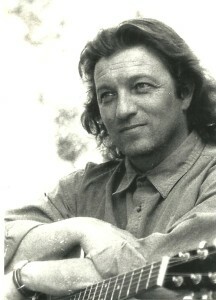 Jack’s father was a gifted musician, and Jack loved guitars. As he listened to Chet Atkins play that day, it sounded of effortless beauty and fingers that live for the soul. At Joshua’s age, Jack had fantasies of playing the guitar in such a fashion. But while Jack had the passion and imagination, he did not have the gifts for playing at such a level. That day it did not matter. That day, Jack had the gift of a guitar jam with his grandson Joshua and the legendary Chet Atkins. Somehow, somewhere, some decades back, he must have dreamed this scene, because it felt like some mysterious circle, he could never have before imagined, was complete. Jack looked at Joshua, and Josh looked back questioningly. “You having a good time?” Grandpa Jack asked. Joshua smiled and said he was. down at the end of Lonely Street, at the Heartbreak Hotel. I’m so lonely baby, I’m so lonely, . . I could cry.